This topic contains 4 replies, has 3 voices, and was last updated by Caleb Smith 2 months, 3 weeks ago. can u you use a home kitchen to sell cupcakes on line? It depends upon the laws for your state. For example, in Florida, you CAN sell the cupcakes online, but the customers cannot be outside of Florida and you may not ship the orders (UPS, USPS, FedEx, etc.). You may deliver the orders personally or customers may pick up the orders at your home (if your HOA, etc. allows it) or at a farmers market where you may already be selling. I am finishing the final touches on my Chocolate Truffles business from home in Florida. What I still need is the Business license, I think a insurance is needed as well. I have developed a lot of recipes and had my expenses to buy my ingredients. I know a food label is also still needed right..? It is a ton of things before the first sale. 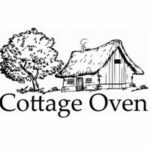 I am really frustrated about the Cottage kitchen laws…it seams after all…Not really an option if you want to grow your business. It’s really made for people that have it as a hobby. I come in my travels in contact with a lot of people that WANT to order my Chocolate Truffles or Cookies. What are my options please.? Hi, guys! I just want to know, have you heard about cannabis butter/oil? Its a thing now. I read that Medical marijuana is a very old medicinal herb that has been used for thousands of years to treat a great variety of ailments. Cannabinoids, have been shown to have anti-bacterial, anti-cancer, anti-inflammatory and anxiety reducing properties that have helped a great deal in several illnesses. Like this article https://blimburnseeds.com/cannabis/original/guanabana. I wonder if someone can teach me how to create an infused cannabis chocolate cake. I highly appreciated all your help. Thanks! I am wanting to start a business in which I sell cakes to business for them to give their employees, I live in myrtle beach south Carolina and am wondering if I would need a commercial kitchen?